Cabbage Steaks | FAIL - Nekaro & Co. Even though it's very bad for me (and probably everyone else), I love corned beef. So naturally, cabbage goes along with that. I usually just boil it in a pot on the stove top. I've been seeing the cabbage steaks recipes all over the place. People always have glowing reviews, but I've never given it a try. I didn't follow a specific recipe as they all seem to be pretty much the same. 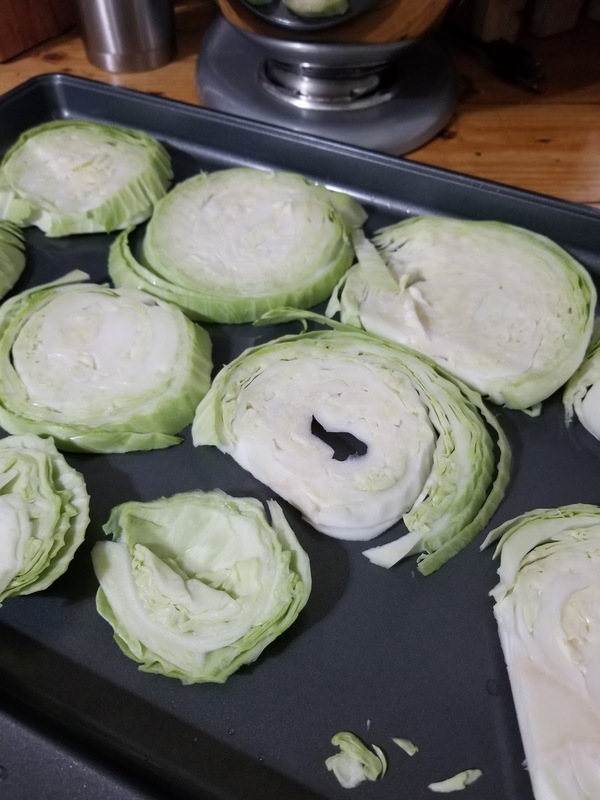 First step, slicing the cabbage into "steaks". Slicing cabbage is apparently not as easy as those foodie bloggers make it seem to be. I had thick slices. I had thin slices. I had slices that were a little of both. The medium-ish size cabbage did make quite a few pieces though so that's something. Next up, seasoning. 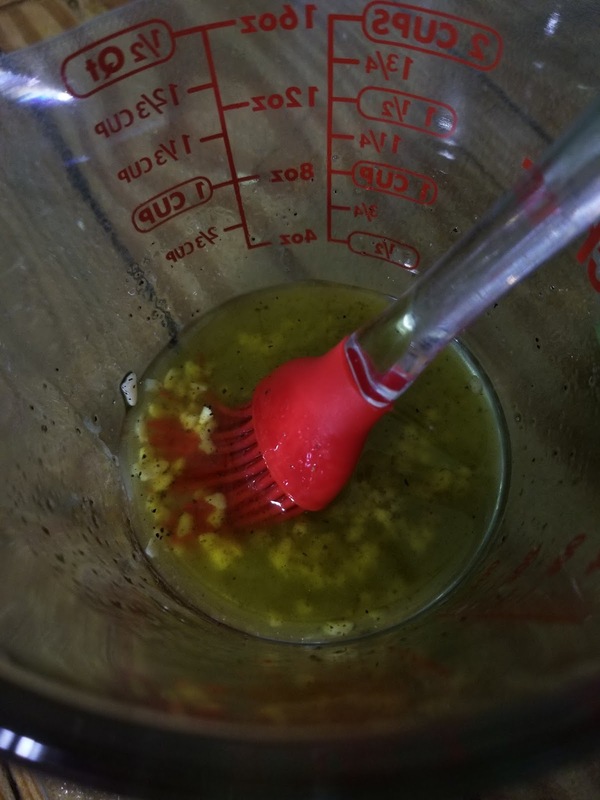 I used about a 1/4 cup of olive oil, salt, pepper, and around 4 cloves of garlic. We love garlic though. I didn't actually measure any of these ingredients. Recipes are just suggestions anyway. I coated the tops of each "steak" with this mixture. Next step, bake in the oven at 350F for about 30 minutes on one side. 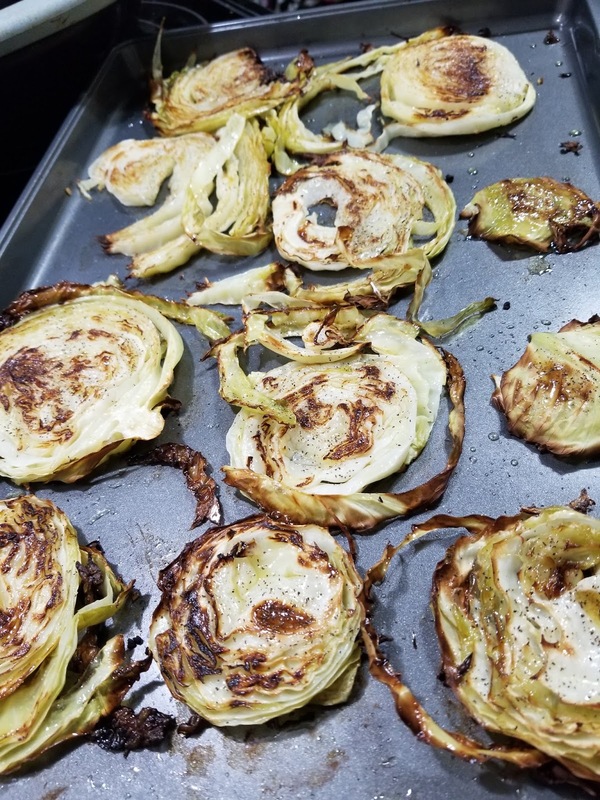 After that I flipped them all (or made a sad attempt at flipping them), gave another coating of olive oil and sprinkled a little salt and pepper on the second side. Baked for another 30 minutes. The results were ugly, y'all. Lots of crispy, kale like, outer pieces. They had absolutely zero flavor other than char from the crispies. I have no idea what I did wrong or why everyone says how delicious these things are. None of us could find any redeeming qualities about this recipe. Final decision: that's a no from me, dawg.